Mothers everywhere look forward to spring cleaning with anticipation, and it is finally here! Who are we kidding, homeowners in general look forward to it! What home improvements are you itching to try out? Replace that old door mat? Vacuum up the pet hair from behind the couch? Or what about something bigger like staining the cabinets? Purchasing a grill? 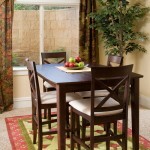 In all of your spring cleaning plans the most often overlooked item on the list is the basement windows. Remember cleaning them last year? That’s what we thought. Below are our 5 tips to making sure your basement windows look as sparkling as the rest of your place. After that first snow storm back in November leaves started collecting at the bottom of the basement window well and you’ve been ignoring it. However, it’s more than just annoying, it can lead to damage to your home if you wait too long. If you have basement window wells that are damp at the base from leaves or are collecting standing water, then you need to act now. Sometimes old window wells have trouble draining, so this may be the year to get those replaced! I suggest taking a look at these. They just look adorable. Also those built in steps aren’t just for safety – they make for easy access to cleaning as well. There is nothing worse than looking out your window on a beautiful day and seeing a huge cloud… of dirt. Scrub that window! Make it shine! Maybe add a plant or two in the bottom of the window well. 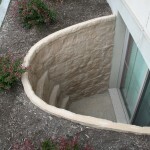 If you have an egress window well then you probably have more room for plants compared to a standard window well. Also, I bet scrubbing that cloud off will give your space more natural light. 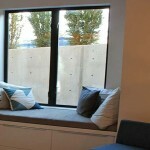 Speaking of natural light, these basement window wells allow for so much more sunlight to get in. It’s like magic. Let some light shine in to your basement and turn it from a dark and scary storage space into a play area for the kids, a living space for your family, or a comfy office cove. So there you have it – our top 3 suggestions to make sure those windows aren’t overlooked in this year’s spring cleaning. Good luck with the home improvements and, as always, we’ll keep you updated with ideas.